This Dahon Mariner D7 review is created to offer you a full outline of the pros and cons of Dahon’s top quality folding bike. In this review, you will find out all the amazing qualities that make the Dahon Mariner D7 one of the best folding bikes that exist. The Dahon Mariner D7 folding bike was originally made for recreational boaters who find it better to use a bike instead of walking whenever they dock at a place where they can’t find taxis. At the same time, a bike also allows them to leisurely explore the area enjoying the sceneries. Now, it is used by anyone who simply wants a fantastic folding bike! 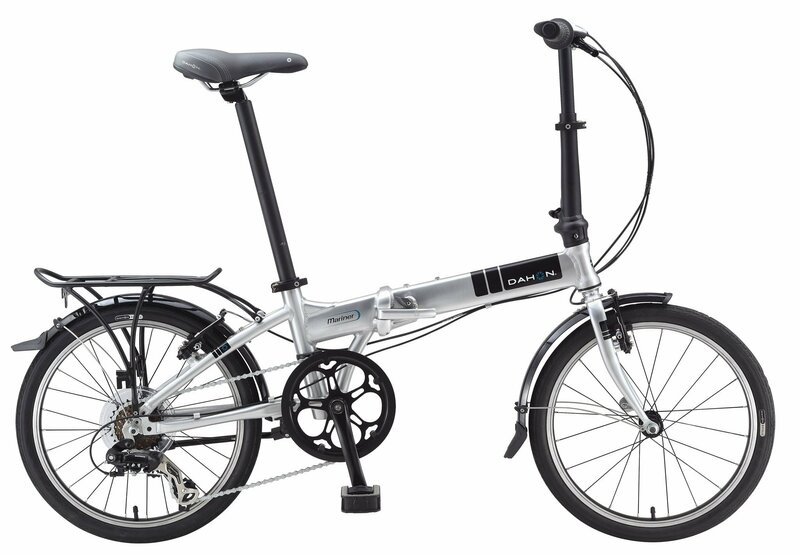 Dahon’s folding bike Mariner D7 is considered one of the finest renowned in the world for its amazing build quality. Thus, it is one of the most popular and in demand folding bikes you can find. There are many things to like about this folding bike and one of those is its striking looks. The Dahon Mariner D7 folding bicycle is striking with its silver and grey paint job which looks delicate but impressionable at the same time. Dahon have truthfully made a wonderful job with Mariner D7 folding bike as it excels in every area that you can check in terms of a quality folding bike. As its name suggests, Dahon Mariner D7 is designed for people whose main mode of transportation is boat. The idea behind the folding bike is to offer mariners with a way to make trips in land faster and without any issues so that transport of supplies to and from the boat would be faster. Moreover, Dahon Mariner D7 is made so that it can be used even when it is raining. How? That’s by using aluminum allow material which is completely resistant to rust. Thus, you can take advantage of the fact that it wouldn’t be damaged to rust and will last for considerable amount of time. The design of this folding bike has also made it possible to function well in a wide range of environments, whether in a city or small village. This is made possible with the fact that Dahon Mariner D7 comes with 7 varying speed gears allowing it to ascend hills and maneuver in any kind of environment without much issue. Apart from the looks and speed gears of Dahon Mariner D7, another amazing feature of this folding bike is its folding mechanism. Its design allows it to be folded up so it can fit small spaces as most boasts in the past don’t have lots of space. Thus, you can fold it into small size in just a few seconds, stood it up using a stand and store it away safely when not in use. 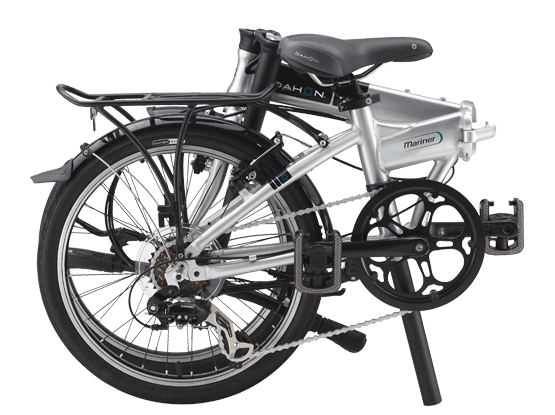 The Dahon Mariner D7 stands on its own and is a higher level than many other folding bikes in the market. It is convenient, functions in wide array of environments and tackles hills with so much ease. It’s also extremely comfortable to ride and fold away when you don’t need it. With all its amazing qualities, it definitely is one of the most comfortable folding bikes and is definitely our top pick. Copyright text 2016 by Folding Bike Hut.